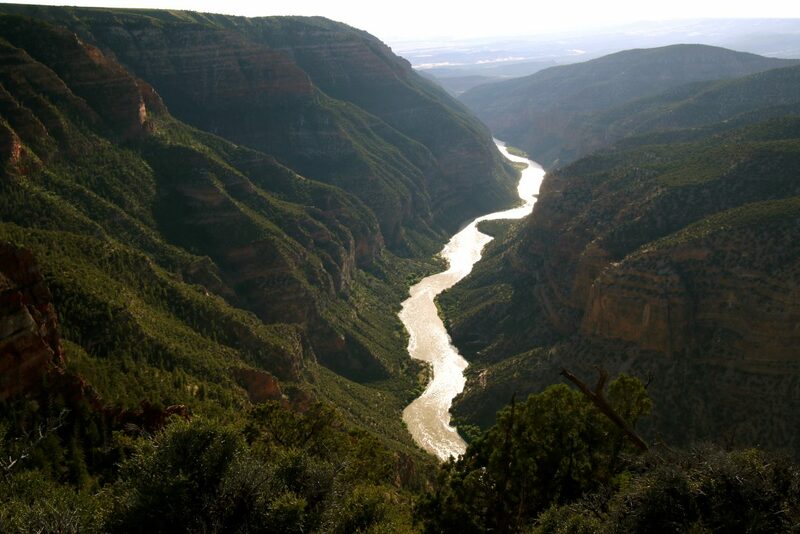 The Green River flows through Dinosaur National Monument in western Colorado downstream of its confluence with the Yampa River. The Yampa/White/Green River basin accounted for more than half of the water that reached Lake Powell from spring runoff this year. Water users in Northwest Colorado are concerned the region could become a “sacrificial lamb” as the state seeks to reduce water use to meet downstream demands. As Colorado water officials begin work on a new “demand management” system to reduce water consumption, members of the Yampa-White-Green Basin Roundtable, which met Jan. 9 in Craig, are seeking to make sure the cutbacks don’t disproportionately impact their river basins, including the Yampa, White, and Green rivers. The concerns prompted the creation of a new “Big River” committee, which met for the first time Jan. 9 to advocate for the basin on state and regional issues across the Colorado River system. However, such worries are largely speculative at the moment, as the mechanisms of a demand management program are far from decided, and drought contingency planning hasn’t yet been finalized. “This is the very, very beginning of the demand management conversation,” said Brent Newman, the interstate, federal, and water information section chief for the Colorado Water Conservation Board. The CWCB has already committed to avoiding “disproportionate negative economic or environmental impacts to any single sub-basin or region within Colorado, while protecting the legal rights of water holders,” according to a policy statement adopted by the agency’s board in November. If a compact call were to occur — a demand by lower basin states for more water to be sent downstream according to the Colorado River Compact — then it is widely expected Colorado water officials would use the prior appropriation doctrine to curtail water use based on seniority. The designation would signal there is not enough water to meet demands during dry years, and new water rights would be conditional to available water supply. Editor’s note: Aspen Journalism is collaborating with the Craig Press, the Steamboat Pilot & Today, and other Swift Communications newspapers on coverage of rivers and water. Learn more at aspenjournalism.org.